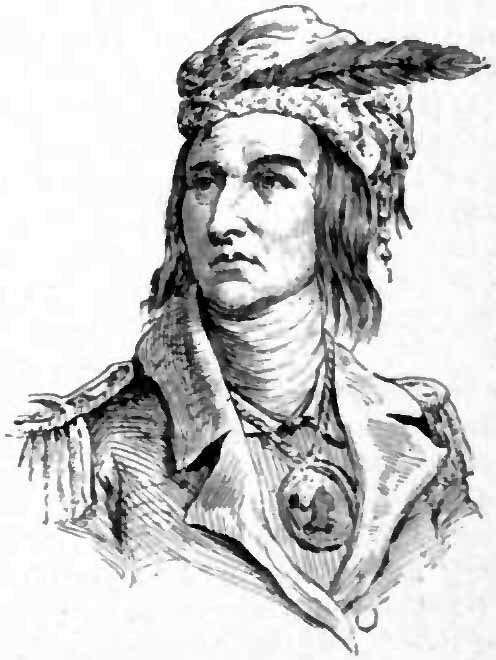 Shawnee Chief Tecumseh, who started it all. Maybe. According to legend, presidents elected during years ending in zero will die in office. This did happen to a long string of American presidents who were elected in zero years, so it was widely attributed to the Curse of Tecumseh. This Curse has its roots in the Battle of Tippecanoe, which took place in Indiana in 1811. American forces were led by General William Henry Harrison, who were victorious over the Shawnee people and their allies in the war. The allied peoples rallied together to stop American westward expansion following a shady treaty that Harrison had negotiated with Tecumseh, the leader of the Shawnee, before the war. Following the defeat, legend has it that Tecumseh’s brother, popularly known as The Prophet, put a curse on Harrison and all other presidents elected in years ending with the same digit as he was. This seems unlikely, since the war ended in 1811, and Harrison wasn’t elected president until 1840, so how would The Prophet know? Moreover, Harrison put his own health at risk, it’s fair to say. He was 67 during the election of 1840, which made a lot of people nervous about his health. Very much aware of the public’s anxiety over his stamina, Harrison rode on a horse during his inauguration parade, not wearing a coat, even though it was a very cold day. He then proceeded to give the longest inaugural speech to date, speaking from a podium for over an hour to a large crowd. Since the microphone hadn’t been invented yet, giving a speech that could be heard by a crowd of that size made great physical demands on him. He then made a point of dancing all night at his inaugural ball. The next morning, March 5, he woke up with pneumonia, and died 32 days later—the first president to die in office. Following that, there was a pattern. Abraham Lincoln was elected in 1860, and was assassinated while in office. James Garfield was elected in 1880, and was assassinated while in office. William McKinley was reelected in 1900, and was assassinated while in office. Warren Harding was elected in 1920, and died of a stroke while in office. Franklin Roosevelt was reelected in 1940, and died of a cerebral hemorrhage while in office. John F. Kennedy was elected in 1960, and was assassinated while in office. By 1980, there was a lot of talk among the superstitious about how the winner of that election would surely die in office. As it happened, Ronald Reagan, who won that year, was shot in 1981, but survived. He wasn’t the first president to survive being shot, either, so it looked like the Curse of Tecumseh didn’t apply anymore. Sure enough, after George W. Bush took office in 2000, he survived to the end of his term. By then, you didn’t hear much talk about the Curse. Anecdotally, I can tell you I knew a guy who told me he voted for Bush in 2000 because he really wanted Vice President Cheney to be president, and was counting on the Curse coming true! Will it happen again in 2020? Probably not. But you can count on the subject coming up again in the next presidential election. That’s one prediction I’m comfortable making.